Serving Of Falafel And Chips Served On A Black Plate With Sauce. Top View. Wooden Board Background. Royalty Free Stok Fotoğraf, Resimler, Görseller Ve Stok Fotoğrafçılık. Image 75462815. 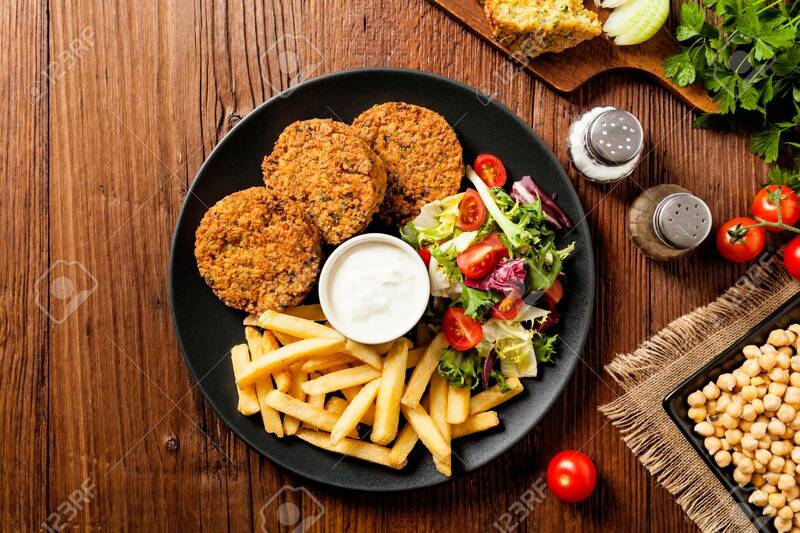 Stok Fotoğraf - Serving of falafel and chips served on a black plate with sauce. Top view. Wooden board background. Serving of falafel and chips served on a black plate with sauce. Top view. Wooden board background.